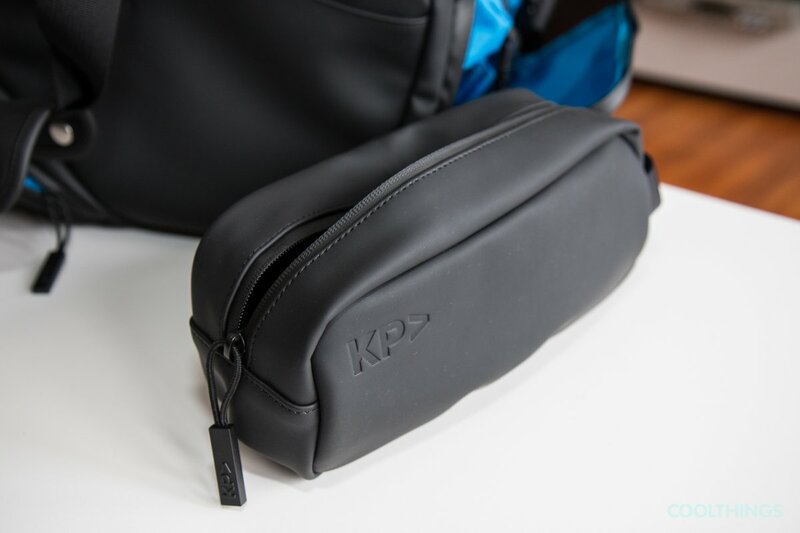 Keep Pursuing, the creators behind KP Duffle claim that the design draws its inspiration from exotic sports cars, using the latter’s sleek, aerodynamic lines to inform the bag’s similarly sleek silhouette. 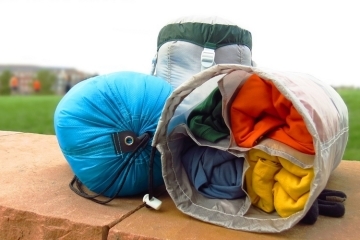 Unlike most duffle bags, the KP Duffle doesn’t come in a boxy or cylindrical shape. 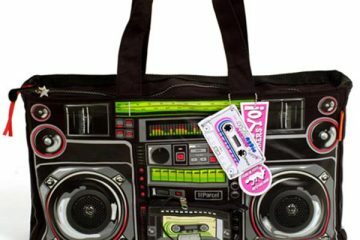 Instead, it comes in a profile that tapers down on one side, giving the bag a unique profile that looks considerably more dramatic. While I can see that, it actually reminded me of tennis bags with their racquet-accommodating shapes, albeit with a final form that should be more useful beyond trips to the local tennis courts. 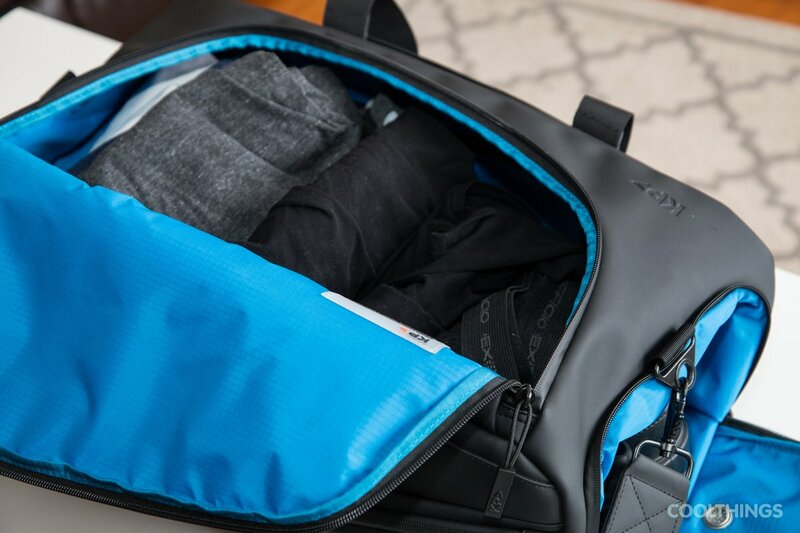 Billed as “the ultimate travel bag,” the KP Duffle measures 9 x 21.5 x 10.5 inches (l x w x d), making it perfectly on board with airline carry-on dimensions. And, yes, despite the unusual profile, it should fit inside overhead compartments without any issue. 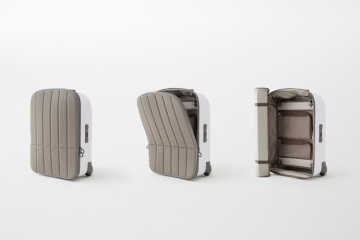 It has a total capacity of 24 liters, which it distributes among the main compartment and a whopping 15 other separate storage chambers. 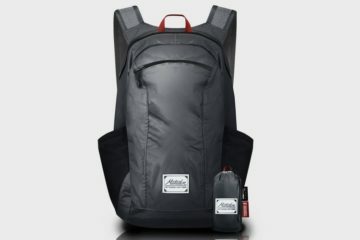 Outside, you get a shoe pocket (ventilated, so it won’t stink in there), a quick-access pocket sized to carry a phone (fits up to an iPhone 6S Plus), a surprisingly compact compartment for a water bottle, a utility hatch for cables and EDC gear, a concealed wallet pocket, and a side pocket sized for small EDC tools. Seriously, that’s a heck of a lot. 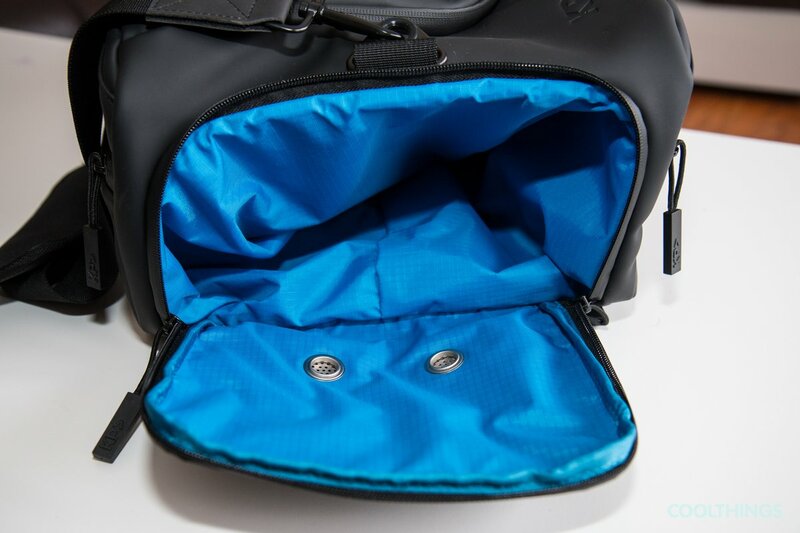 Inside, it comes with multiple mesh pockets for organizing small stuff, along with a pen loop and a removable key fob. 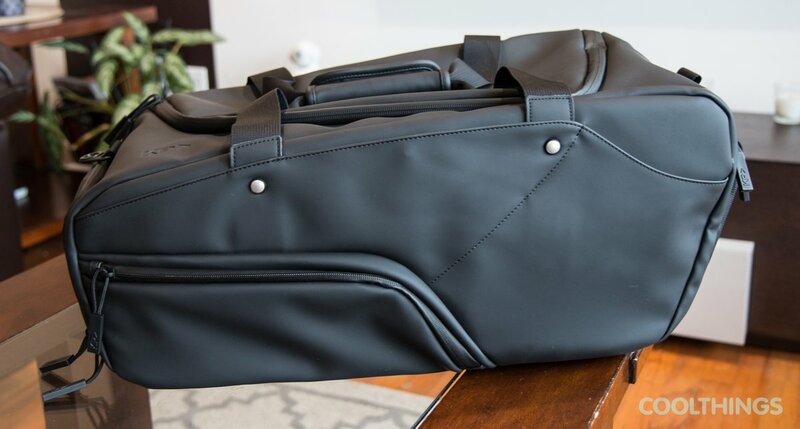 Despite the generous amount of compartments, the bag manages to keep a clean and minimalist profile, ensuring it’s not going to clash with your outfits, whether you’re dressed up for the office, the gym, or a holiday with the spouse. We also love the contrast between the black exterior and the bright blue interior that’s consistent throughout the numerous compartments. 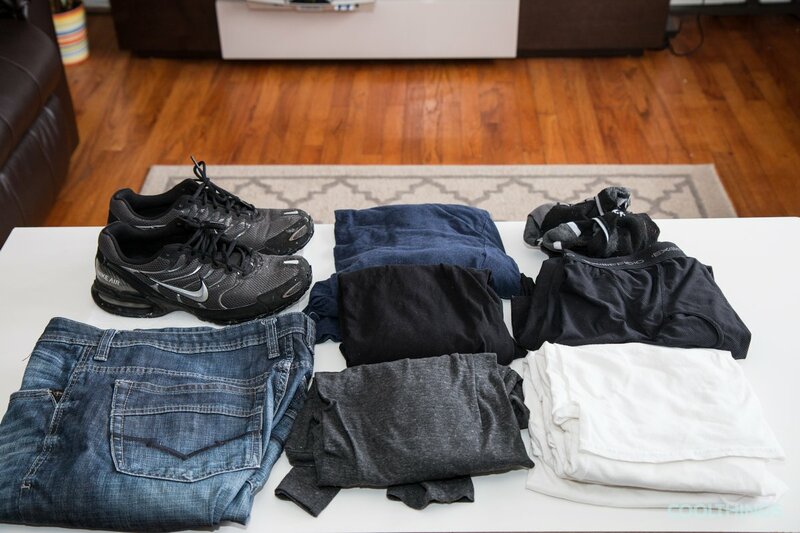 I was easily able to pack in 3 undershirts, 3 under wears, 3 full sleeve t-shirts, a pair of jeans and a few socks. Tried both a pair of my trusty sneakers (size 11) and dress shoes separately and the duffle bag still had plenty of room left. Construction is high-quality, scratch-proof PU leather for the exterior, with the interior done up in ripstop nylon. 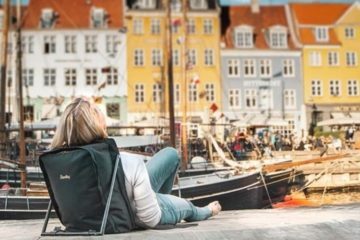 Combined with Zamak 5 zinc alloy hardware and waterproof zippers, it boasts serious durability and water resistance, making for a bag that should see you through many years of use. 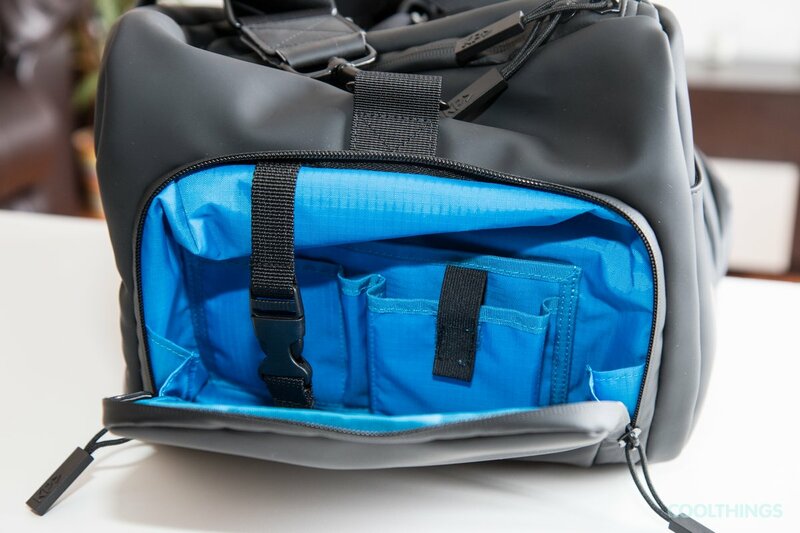 An optional dopp kit can be ordered with the bag, which boasts the same PU leather construction to keep any accidental spills from leaking out into the rest of the bag’s contents. 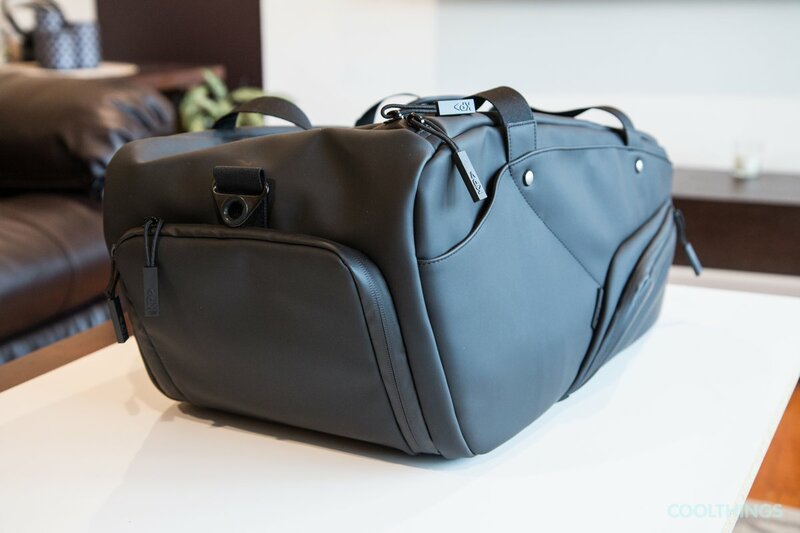 While billed as a travel bag, the versatile features should make the KP Duffle plenty useful for a whole lot of situations. 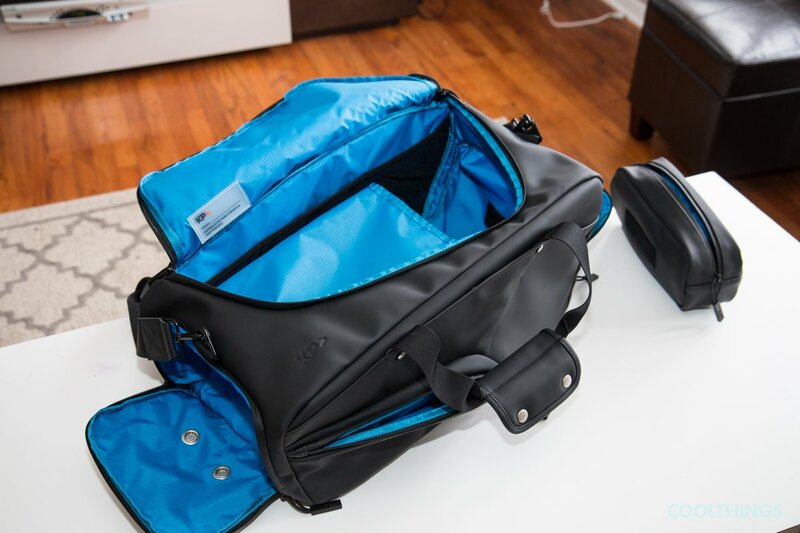 It’s not excessively big for use as an everyday work bag, for instance, with that shoe pocket and extra interior space making it perfect for carrying a generous change of clothes along with your work gear. 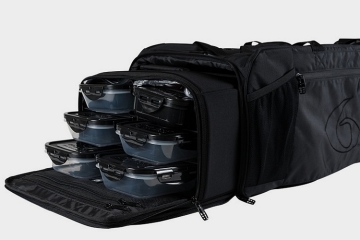 The numerous compartments should make it perfect for carrying photography equipment, too, although you’ll probably want to throw in some soft dividers to keep things from scratching each other up. 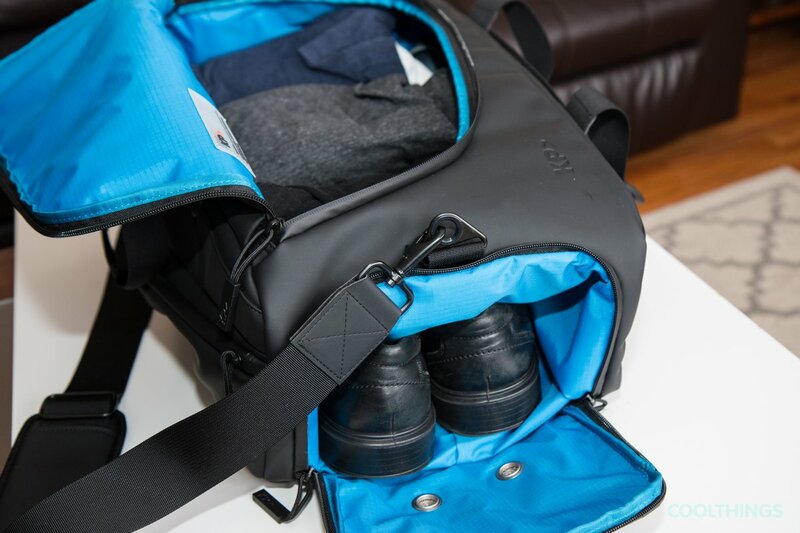 A Kickstarter campaign is currently running for the KP Duffle. Pledges to reserve a unit starts at $135. I luv the idea of integrated show compartment. Scratch Proof Leather – What is that? Is it protected by some nano layer of something? It really is a bit unfortunate that they nearly inched towards the tennis demographic, and then scaled back. 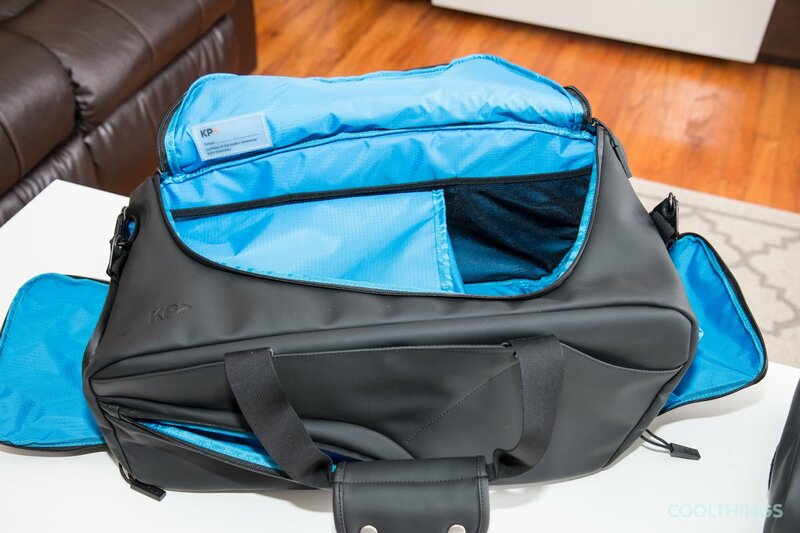 Had they designed a 28″ duffle I believe none of the tennis faring world would bother with the junk the usual brands put out. Unfortunately us tennis folk are stuck with the handful of companies who outsource their logos to cheap factories with the merest thought of functionality, value and design. Quite surprising, for such a popular sport, there isn’t a single well designed travel tennis bag, irrespective of brand/price. Heck, 99% of tennis bags cannot even be secured with a lock for airline trips.